The other day my children and I were at Walmart and we saw back to school supplies. My 8 year old closed his eyes and refused to acknowledge the presence of glue, pencils and notebooks. I can’t say I blame him. Summer is still going strong, but like it or not, school is quickly approaching. Yes, folks, reality is school is a’coming. Along with the school year comes busy, busy schedules of homework, after school activities and sports. Lots of sports. As a busy mom, I truly appreciate quick, after school snacks our younger two can grab on the go. It is equally wonderful when the same snacks can be used as before/after race nourishment for our older two. 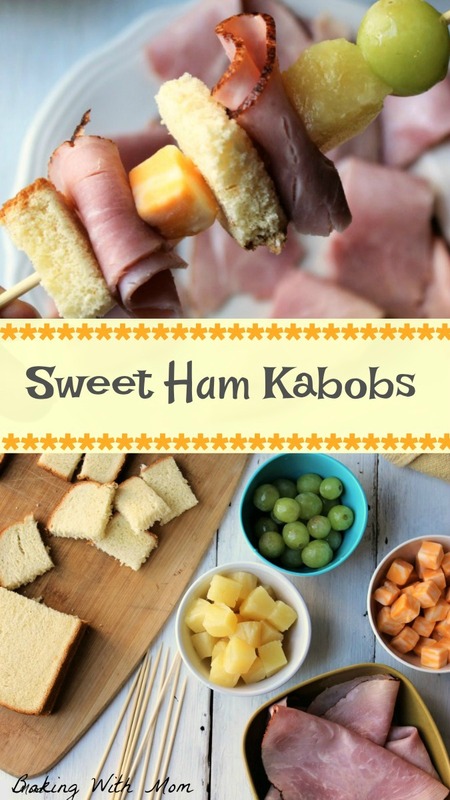 Sweet Ham Kabobs are that perfect snack. They are easy to put together, can be made ahead of time and have ingredients the kids love. They also travel well. 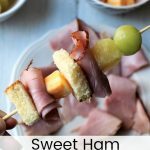 Eckrich Deli Meats are a great choice for the the sweet ham kabobs because they offer a full line of deli meats across many different proteins. 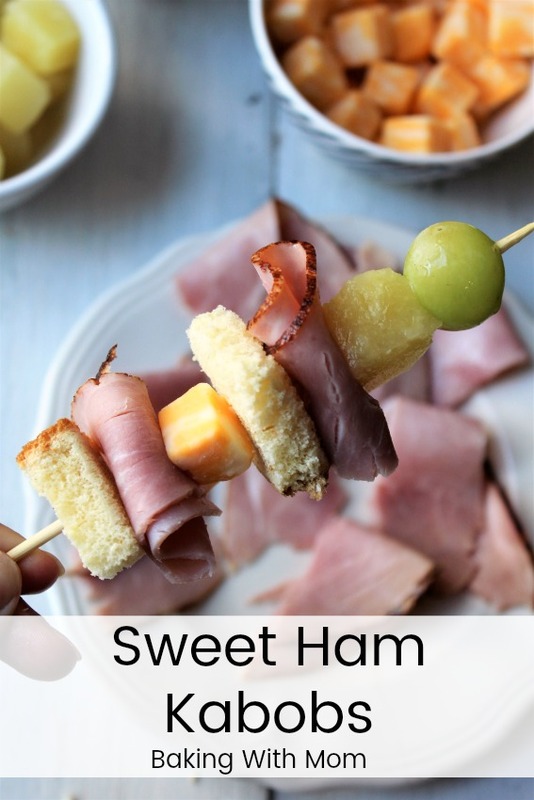 I chose the Eckrich Virginia Brand Ham for the kabobs though the Eckrich Hard Salami and Eckrich Honey Cured Ham would be appreciated by my family as well (and taste great)! Walmart has such a great selection of Eckrich Deli Meats and they are so easy to find. Head to the deli counter (mine was by the fresh baked breads and fruit/vegetable aisle) and stock up. I have found buying deli meat is affordable and great for lunches for my husband and my kids! Putting together the kabobs are very simple to do. The kabobs are healthy and with the Eckrich Deli Meat Ham, I know my family is getting the best quality meat. The Eckrich hams are specially trimmed for consistent quality and feature a wide selection of flavors. 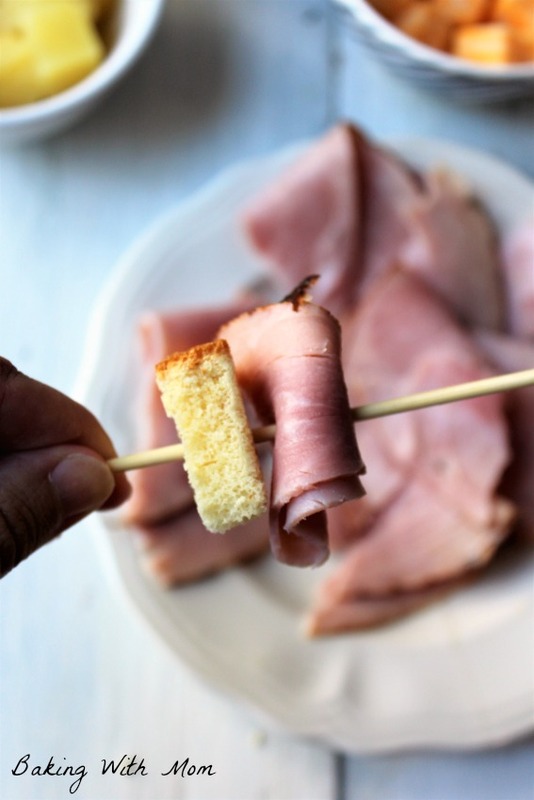 Eckrich is gluten free, and has a full line of quality natural smoked and natural juice hams. 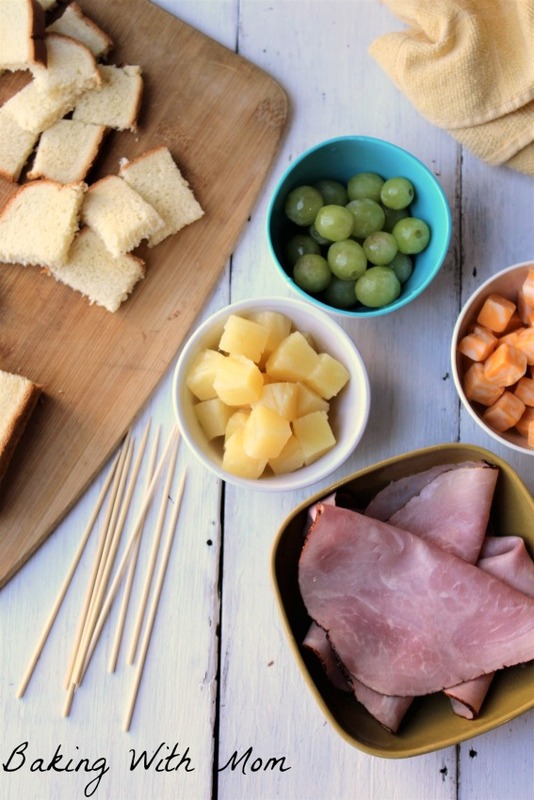 All you need for this recipe is Eckrich Virginia Brand Ham, pineapple, grapes, cheese cubes and sweet bread. Simply cut the ingredients up and put them on the kabobs any way you would like. I like to cut the Eckrich Deli Meat in thirds, then fold it in half. I also like to double up on the ham pieces. 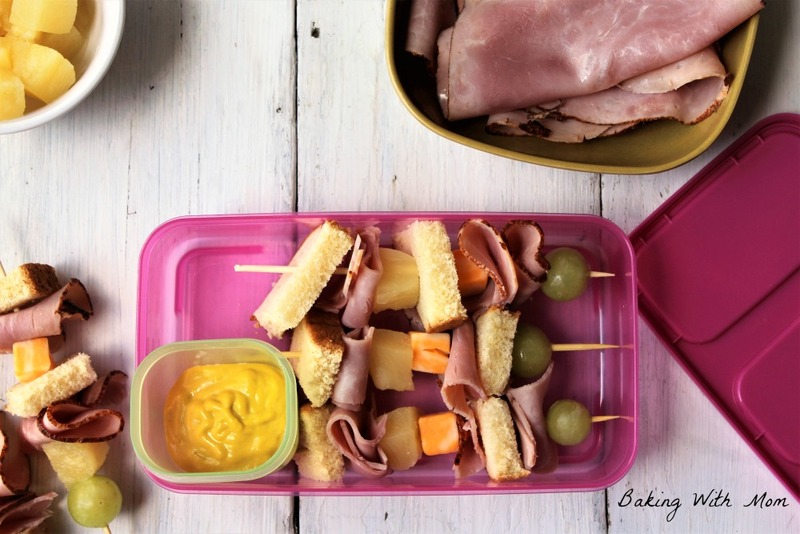 Easy lunch or snack recipe perfect for on the go families. 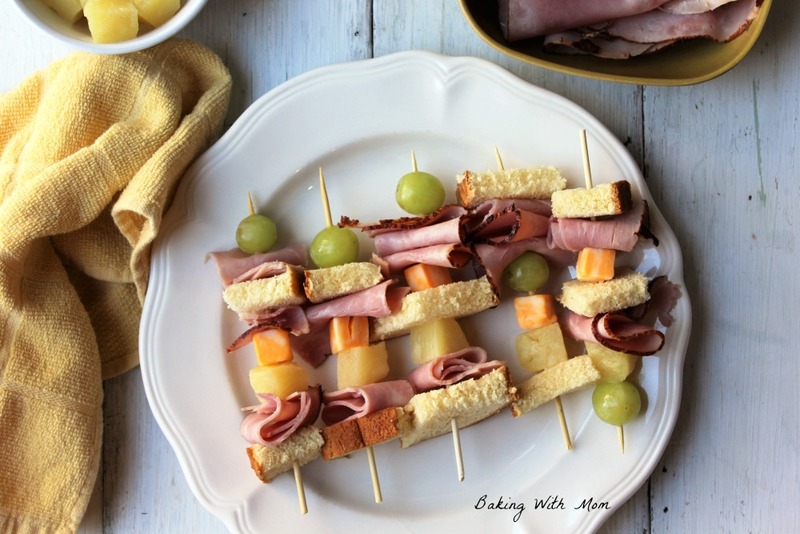 Sweet Ham Kabobs with ham, grapes and more will be a kid favorite. They were easy and the kids literally are begging for them again! Wonderful and easy to take on the go! !